So you want to be healthier in 2018? Maybe you’ve already set some New Year’s Resolutions and you are not doing too bad. You started exercising more and eating less of a bad stuff. But there is more you can do. Ever thought of environmental toxins and how to avoid them? What about if you knew there was a way of pushing yourself more when exercising, but without a personal trainer? And let’s not forget about making your healthy cooking and food preparation quicker and easier. Yes, you can save loads of time in the kitchen with a bit of help from a gadget. Whatever your goal in 2018, I want to help you be the healthiest ever. For this reason I put this post together and listed some of the ways you can be healthier in 2018. We all know that cooking and food preparation can be quite time-consuming but things can get much easier once you own a food processor or a blender. Chopping, slicing, mixing and making things from scratch becomes so much fun when you own one of these gadgets. Things are getting done quicker, giving you more motivation to prepare healthier foods. If you are on a budget and would love to have one of these gadgets, the best is to go for a 2-in-1 product, basically a food processor and a blender, as part of one gadget. 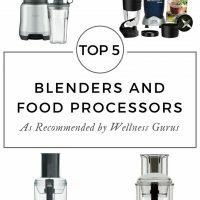 I’ve done some research about the best 2-in-1 food processors and the brand that keeps coming up is Kenwood. 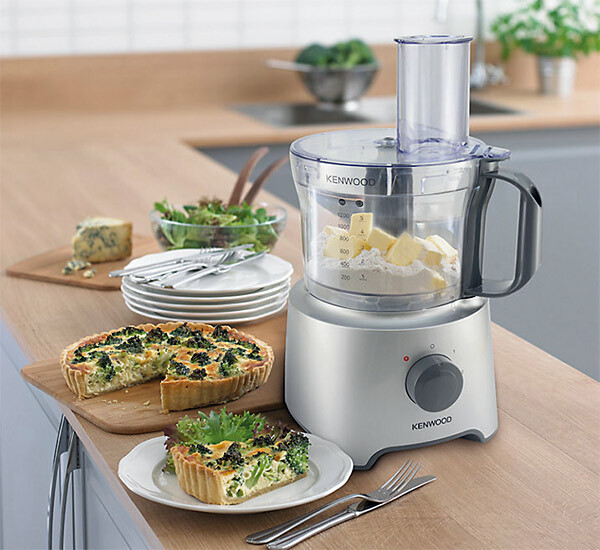 One of their more affordable food processors that comes with a blender jug is Kenwood FPM250 Multipro Compact Food Processor. It’s a great value for money and has great reviews online. You can purchase it from John Lewis with a free delivery. If you want something more advanced, be sure to check this post. Every day we are exposed to so many chemicals and toxins and we are not even aware of them. That includes pesticides as well. Certain fruits and veg contain more pesticides than others and those are the ones which you should buy organic as often as you can. Among dirty dozen are spinach, strawberries and apples. For a complete list check this post. In addition to specific fruits and veg, you should also choose organic when buying your tea as non-organic tea has so many toxins that it can really harm your health if you drink it in large quantities. 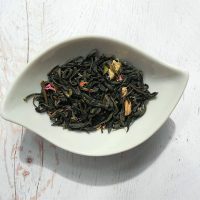 If you are a green tea fan and drink it for its long list of health benefits, make sure you buy organic green tea from Japan as it’s better than the one from China which can still be high in environmental toxins such as lead. Also, when you are out and about, try and go for organic when you can but as the choice is limited, it’s better if you carry some organic snacks with you. 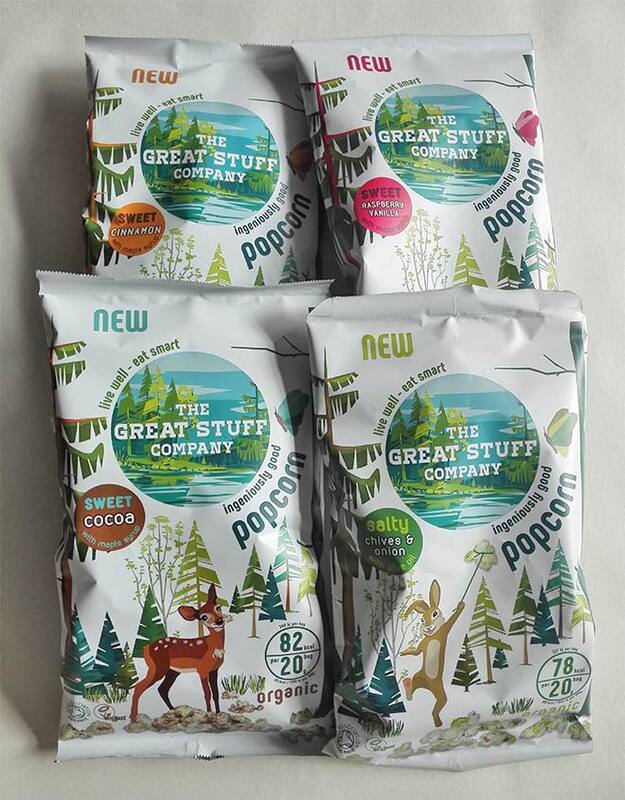 Recently I discovered organic popcorn from The Great Stuff Company which I really love as it comes in all kind of flavours and will satisfy both, sweet and savoury popcorn lovers. It’s really healthy too, containing only natural and organic ingredients. My favourite flavours from this brand are Chives & Onion and Sweet Cacao (this flavour is simply amazing!). You can buy this popcorn directly from The Great Stuff Company (free delivery) but you can also find it on Amazon. If you want to be healthier and struggle to eat your greens, then a green powder is the way to go. A green powder normally contains a blend of various vegetables and supergreens in a powdered form. Some green powders also have an addition of probiotics to improve your digestion and reduce bloating. 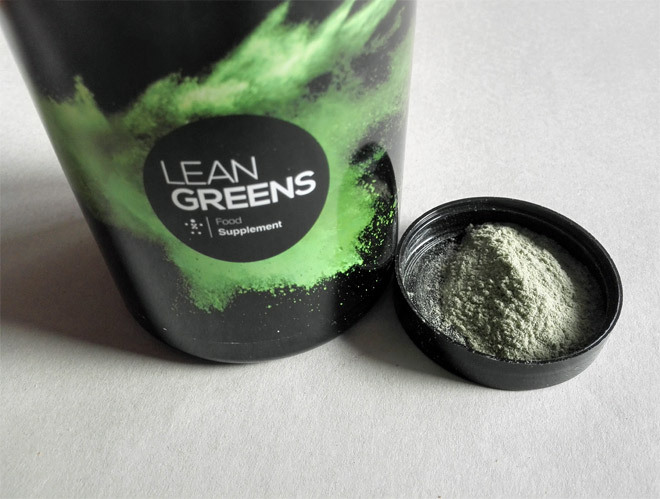 The Lean Greens Powder is one of them. I am actually a big supporter of green powders because they are a great way of adding extra nutrients to your diet when you need them. And they are really natural as well, better than the multivitamin tablets. You can get 10% off Lean Greens green powder by using a discount code BHN10 here. If you live in a big city, an indoor air purifier is a must, especially if you rarely ventilate your home. There is no secret about the air pollution big cities create and this outdoor pollution comes into your home, affecting your health. Investing in a good indoor air purifier will no doubt help you improve your health and help prevent conditions associated with poor air quality. Browse indoor air purifiers on PureLifestyleWonders website and see whether you can find the one that suits your needs. Alternatively, you could invest in a couple of indoor plants that will help to improve the quality of your indoor air. Many people don’t realise it but the cleaning products they use contain really harmful ingredients (bleach! ), affecting their respiratory system and skin. If you want to be healthier you really need to look at what you use to clean your home with and also what you use for your laundry. One of the multi-purpose cleaning products that I use all the time is Dr. Bronners Multipurpose Liquid soap. This soap contains no harmful ingredients and you can use it for just about anything. You can clean your kitchen with it, your bathroom, you can use it to handwash your clothes and to clean your makeup brushes. The list of its uses is endless. This magic soap comes in a variety of scents and one of my favourites is definitely Citrus. Soap nuts are another natural cleaning solution that can help you be healthier. I don’t think there is anything as natural as soap nuts for cleaning and they have a number of uses as well. Just in case you haven’t heard of soap nuts before, soap nuts grow on trees and are well known across the Indian subcontinent, having been used there for thousands of years. Soap nuts are made by collecting the soap nut fruits, removing the fruit pulp and then drying the fruit case. They contain natural saponins which get activated once you add them to a hot water. I’ve only used them for washing my laundry so far (soap nuts from Natural Spa Supplies) but they can also be used to create a liquid cleaning solution which you can use for various cleaning jobs around your house. Soap nuts can be reused which makes them much more economical than other washing products. You can buy soapnuts from Natural Spa Supplies and with each Soapnut order you will also get a Sample to give to your friend. Working out can become much more fun when you start using fitness apps. I am a fan of the 7 Minute Workout App but recently I discovered Aaptiv app which helps your fitness efforts by motivating you when exercising. It’s an audio app with music and personal trainers talking to you when you exercise. I think the idea is great as you push yourself more and feel more motivated to exercise. The Aaptiv app comes with a free trial for the first 14 days and after that it will cost you $14.99 a month. If you subscribe yearly, the monthly cost will be reduced. You can trial it for free here. I know there are loads of other fitness apps you could try but the best is to go for the one that suits your lifestyle more. We are all advised to drink enough water to keep us healthy but the tap water is not necessarily the best water you can drink for your health. In your tap water you will find all kind of contaminants such as Fluoride, Chlorine and metals. A solution to this problem is to filter your water to make it healthier but not all water filtering solutions are created equal. Recently I discovered ZeroWater which is the only water filter brand that delivers the equivalent to purified bottled water into your home. The ZeroWater filtration jug is better than Brita’s jugs and filters as it removes more contaminants. When you are trying to be healthy, things can get quite overwhelming. You have to remember to drink enough water, eat enough vegetables and fruits, do your daily exercise, make sure you get your omega-3s, not to mention getting enough sleep and looking after your mind. There is a lot of things to consider to be the healthiest version of yourself, that’s for sure. To make things easier, it’s not a bad idea to track your healthy living journey in a journal – how much you exercise, how many portions of fruits and veg you ate in a day, etc. 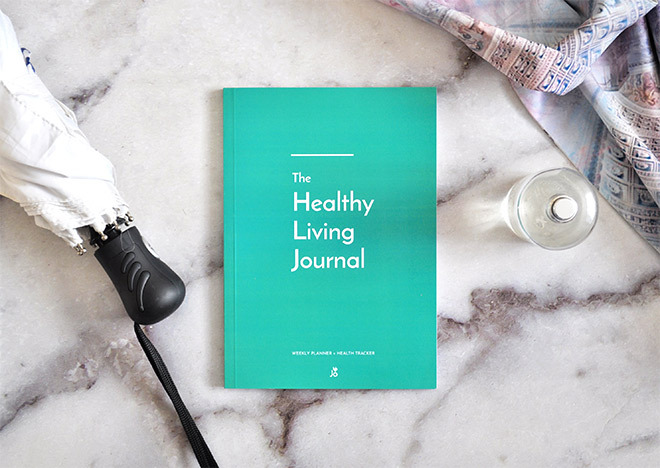 Luckily, with the help of The Healthy Living Journal you can easily monitor all your efforts without too much thinking about all the aspects of healthy living. The journal is all set up for you to start recording your health efforts straight away. Start with Monday and start ticking off the things that make you healthier – had your veggies for the day? Tick. Drank 8 glasses of water? Mark them as you go along. Exercised for 30 minutes? Tick. In The Healthy Living Journal you also have a space to add your own thoughts and struggles of the day. Like that you can easily identify what you struggle with and if there is something you can do better for your health. Without recording all this you wouldn’t know what to improve so this is definitely an excellent way of taking your health to the next level. In this day and age we are all guilty of spending too much time sitting down. Being sedentary for prolonged periods of time is not good for our health at all. It’s been actually compared to smoking, that’s how bad it is for us! Your work may be able to provide you with a sit-stand desk, you just have to ask and see whether this is something they could do. If you work from home, you should consider a sit-stand desk for your home office. But you don’t actually have to buy a completely new desk as there is a way of converting your existing desk into a standing work station. Just buy a Sit-Stand Height Adjustable Desk Converter and you will be good to go. These sit-stand desk converters are much cheaper than sit-stand desks themselves so you will be saving yourself quite a bit of money. So there you have it, some of the ways you can be healthier in 2018. There are, of course, hundreds of other ways you can boost your health, for example you could focus on managing stress better or get yourself tested for common vitamin and mineral deficiencies. Will you follow any of the tips from this post or do you have other ideas on how to improve your health in 2018? Thank you for sharing this post. I would love to stay healthy in 2018. May almighty bless me with good health. Brilliant tips! I always opt for organic/local produce whenever I can! Glad to hear you are already a fan of green smoothies Oliver! Many times I have a green smoothie for lunch, as it’s so quick to make, with no hassle. 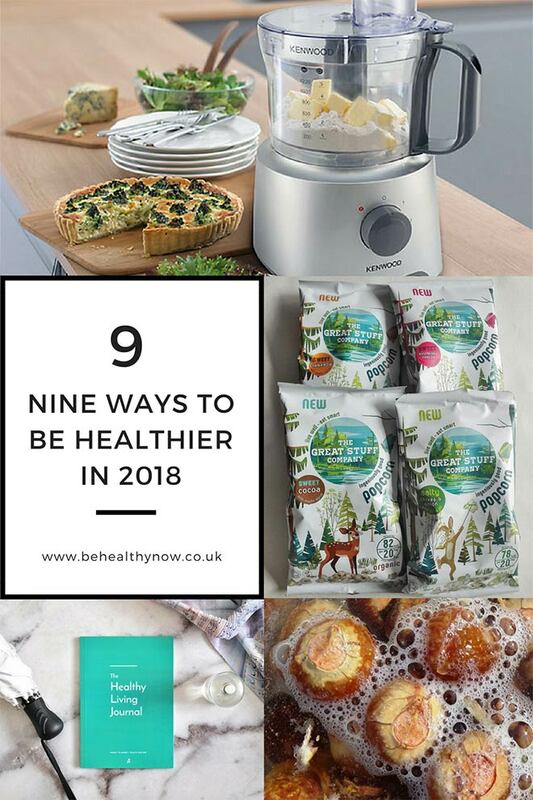 Hopefully you manage to implement some of these ideas so that you can be healthier in 2018! I couldn’t live without fitness apps today, they are essential for me now that I don’t go to the gym anymore. It’s refreshing to see an article reference things like air purifiers and water filters in addition to all the focus on exercise and food. The Green Powder sounds so useful and like it would save a lot of time and hassle trying to get all the right nutrients. Thanks! What an inspiring post, thank you for sharing. Being healthier has been my top priority of 2018, I’ve started exercising and being mindful about what I eat. Now I really want to try to try some of these out. In particular, a sit-stand desk and an air purifier seems like great additions for my office. I completely agree with the air purifier. My son has asthma and it makes a world of difference for him after we started using one. great post. Thanks for sharing this. As this post is much informative and includes several helpful to become healthy. I like the tips mentioned by you. Their are several ways to stay healthy. Buying a food processor will be helpful as it makes chopping, slicing, mixing and other things easier. Choosing the correct organic are important to become healthy. As many fruits and veg contains harmful pesticides in it,therefore its important to choose a toxins free organic. Green powder supplements will helps to improve the health. As green powder contain a mix of several vegetables and super-green in a powdered form which is beneficial for health and are a great way to add an extra nutrients to the diet whenever required. Investing in a good indoor air purifier will be helpful. As good indoor air purifier will helps to improve the health and protect the conditions related with poor quality of air. Clean in a natural way will be helpful and will improves the health. An idea of using DR.BRONNERS MULTIPURPOSE LIQUID SOAP will be great and good to stay healthy. Using this liquid soap for either cleaning the kitchen,bathrooms or as a hand-wash will be hygienic and helpful. 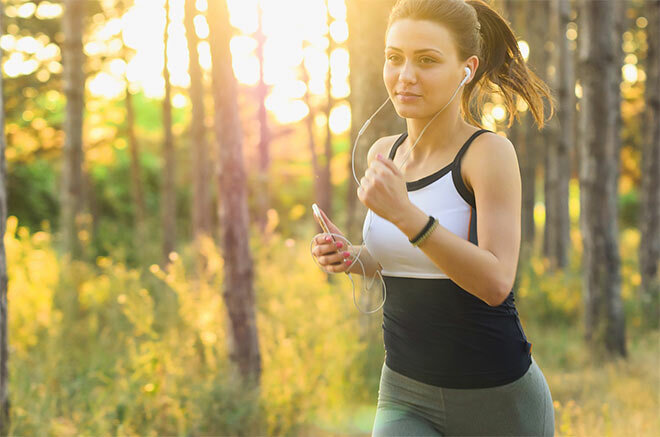 Exercise apps are important to maintain the health and fitness. Having this FITNESS app will be helpful and helps to stay motivated for doing more exercises. As we know that Exercises are beneficial and keeps us healthy in several ways. Filtering the water is also beneficial for health. An idea of having a SIT STAND DESK will be great and helpful. Helpful post. Very effective tips and will be effective for those who follow these tips. Thanks for sharing.